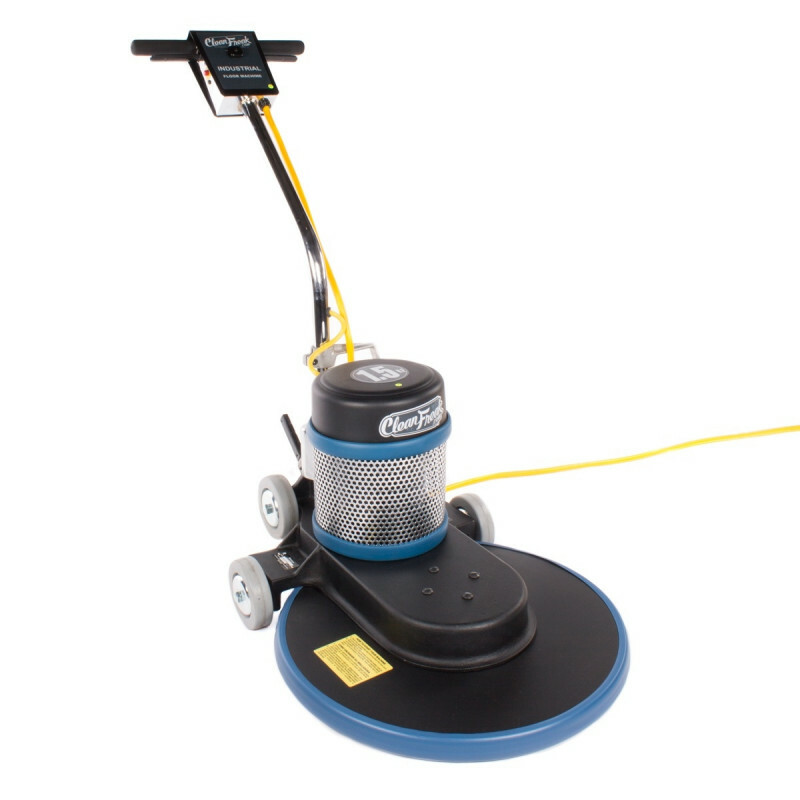 This 20 inch high speed polishing machine is great for any finished hard floor. It will take the finish on a commercial floor from a dull finish to a sparkling shine. This machine runs on 2 shock absorbing wheels that make the machine run forwards and backwards. It has an additional 2 wheels, which are utilized to transport the burnisher. The 1.5 horsepower motor will start to cut out if you are digging the polishing pad into the floor. This is to prevent the machine from drawing too much power, and blowing breakers in the facility that you are cleaning. Just let the machine head float over your floor, and it will do all the work for you, resulting in the highest shine possible. Use in combination with our Floor Restore solution listed below for maximum shine after polishing. The Floor Restore can be used as a mop on polishing solution, or a spray buffing solution. Looking for a low speed floor scrubber or dual speed floor buffer instead? 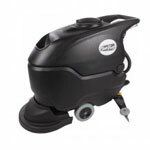 Take a look at our complete line of automatic floor scrubbers for other great options. Four 5" non marking transport wheels. Happy Janitorial Staff Review by Eagles Go! This is the best Buffer I've ever used. It is very fast and effective in polishing floors.